Lock in a great price for Anahata Resort (Old The Lipa Lovely) – rated 8.5 by recent guests! Absolutely loved the hotel, quiet, comfortable, kids friendly. 2 bedroom bungalow was good size, separate bathrooms for each room. The staff at this hotel is a blast! Great service! They do everything to make your stay more comfortable a possible! The common areas are clean and cozy, the spa is awesome and has great prices. If you're looking a cozy hotel, I recommend The Lipa Lovely Resort! I only stayed one night en route to my next destination and wasn’t there long enough to enjoy the beautiful beach or the many amenities this place has to offer. What I can say is that the staff were so hospitable and welcoming, greeting me upon arrival by name and offering me a glass of juice. They immediately inquired as to my next destination, and when I explained the combination of ferry and train options I planned on taking to visit my cousin in a remote part of Thailand, they spent an hour helping me get it sorted out and even called the train station to verify all the information. They arranged a taxi for me for 4:20 the next morning to ensure I’d arrive in time for the first ferry off the island, and even sent a staff member to my room at 4:10am to help carry my bags, as my room was located near the beach but a considerable distance from the front desk. Great place, quiet, peaceful, beautiful with an excellent restaurant! This is a chill location, perfect as a quiet beach retreat. It has a rich patina that makes it feel homey. The bungalow are fantastic, with high quality furniture, linens and also quality soaps and shampoos. The patrons were a diverse group including young singles, young families, and older travellers like us. It was a friendly group of people, quiet and respectful. The service was excellent on all counts! The resort exceeded our expectations. We were able to participate in daily yoga classes. There was a raw food and drink menu to choose from as well. Perfect place for escape. It also have his own holistic center and free yoga classes in the morning. Anahata Resort (Old The Lipa Lovely) This rating is a reflection of how the property compares to the industry standard when it comes to price, facilities and services available. It's based on a self-evaluation by the property. Use this rating to help choose your stay! Anahata Resort is located on Lipa Noi Beach on the western coast of Koh Samui. 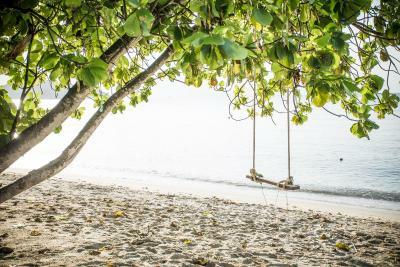 This Eco-friendly, traditional Thai tropical beachfront hideaway features 2 accommodations areas, connected by a beach front path. All guests rooms are air-conditioned and include a tea/coffee maker. Free drinking water is available throughout your stay when you purchase the Trash Hero bottle or if you have your own recyclable bottle. 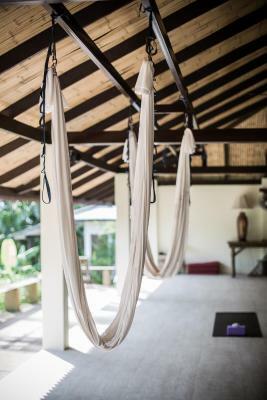 Guests staying at Anahata Resort can enjoy traditional Thai massages and spa treatments at a pavilion by the beach or in the indoor treatment rooms, with experienced therapists and products that are chemical free. You can watch the the sunset, at the beachfront restaurant, Alchemy Cafe and Juice Bar, which offers an extensive selection of raw, vegan, vegetarian and healthy Flexitarian Thai and fusion foods. The property selects local, natural and organic ingredients to create delicious and nutritious dishes. Many of the ingredients used are grown in the properties garden. Anahata Resort is just steps away from Niki Beach Samui. The resort is a short 10-minute drive from Lipa Noi Pier and a 15-minute ride from Nathon Town. Samui Airport is approximately 18 mi away. When would you like to stay at Anahata Resort (Old The Lipa Lovely)? The rooms come with air-conditioning, a cable/satellite TV, hot water, refrigerator, tea/coffee maker and drinking water. Free toiletries are included in an private bathroom. The air-conditioned bungalow features a private balcony with garden view, a cable/satellite TV, hot water, refrigerator, tea/coffee maker and drinking water. Free toiletries are included in an private bathroom. The air-conditioned bungalow features a private balcony with garden view, a cable/satellite TV, hot water, refrigerator, tea/coffee maker and drinking water. Free toiletries are included in an private bathroom. Free toiletries and a bathtub are included in a private bathroom. Spacious 2-bedroom bungalow offers separate bedrooms with private bathrooms. The living room features garden view, and comes with a cable/satellite TV, hot water, refrigerator, tea/coffee maker and drinking water. Free toiletries are included in an private bathroom. The air-conditioned bungalow features a private beachfront balcony. It also comes with a cable/satellite TV, hot water, refrigerator, tea/coffee maker and drinking water. Free toiletries and a bathtub are included in a private bathroom. The Lipa Lovely Resort & Bigjohn Restaurant are located on the peaceful, soft sands of Lipa Noi Beach, Koh Samui’s West coast. Famous for providing views of the island’s most breathtaking sunsets. 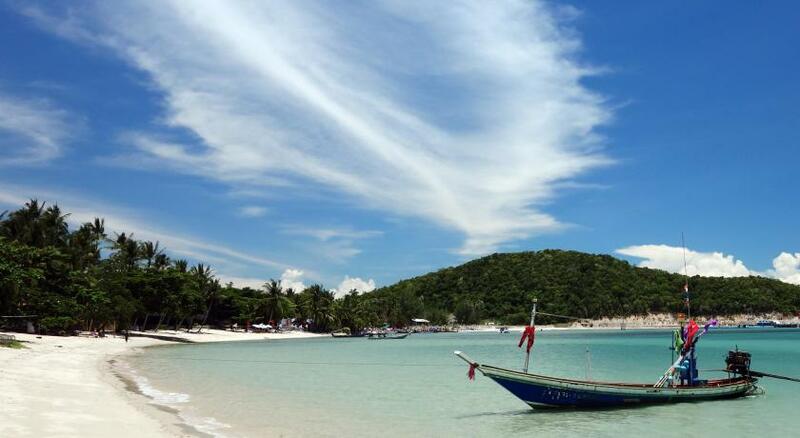 Unspoiled natural beauty and the friendly atmosphere of old Samui. 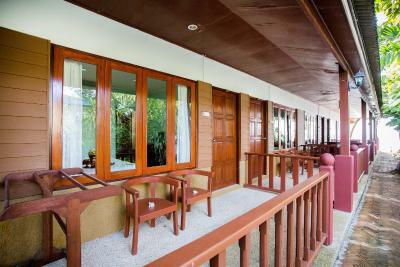 We are offers beachfront bungalows and rooms, and Bighohn Restaurant is conveniently located on the premised. Our facilities location and friendly staff create a perfect setting for your relaxing tropical island escape. House Rules Anahata Resort (Old The Lipa Lovely) takes special requests – add in the next step! Anahata Resort (Old The Lipa Lovely) accepts these cards and reserves the right to temporarily hold an amount prior to arrival. Very nice and calm place to stay. Directly at the beach. Nice pool, good breakfast. The staff was very competent! The food was superfresh and healthy. I liked relaxing yoga vibe of the place. Also nice view from my bungalow. Overall we had a pleasant stay, coming to an end of our 5 week Thailand trip. Unfortunately a few minor interruptions occurred during our three night stay, predominately the morning/afternoon restaurant staff were less than friendly, or one individual in particular. Some miscommunication between reception and massage staff and finally we found the value for money, mainly the food/drinks, were quite overpriced. Nice and quiet location, pools were both unused most of the time which felt like you had a private pool. Simple but clean gym area, as well as classes of yoga offered (at an additional cost). Location was remote, which suited us. With an abdunace of sun chairs at pool and beach. The management need to make their mind up whether it’s a retreat for detox purposes or a family resort. We are a mature couple and we felt, almost, as though we were intruding, during the many yoga and meditation sessions, that went on throughout the day! The restaurant was aimed specifically at vegans, no idea on how to present breakfast, warm curdled milk, butter and yogurt! The majority of guests were fasting and drinking juices, with talks on the merits of avoiding dairy and meat on your diets! Not entirely the best environment for two meat eating, ordinary holymakers! The location was good! The layout of the bungalows were good, gardens and pools good! Reception staff were delightful! Staff at the restaurant acted totally put out when asked for help. Fries were cold when served. Waiter grabbed them with his bare hand and dropped them back on plate and walked away. I had to ask the manager for fresh ones. The internet connection was not so good, but who cares? On the beach, great swimming and loungers too. Very peaceful and interesting guests. Pools, steam room and very nice (expensive) restaurant. The staff was friendly, especially ladies at the reception were understanding and great at accommodating our requests. They had great attention to detail too. Beach views are to die for! The beach, beautifully kept rooms, yummy thai food at the restaurant, friendly staff, great massages and good weather made it a perfect holiday for us three girls wanting a break from the day to day hustle. Thank you and keep up the good work! It was quite far from the main tourist locations & boat docks necessitating quite a lot of time driving if you want a busy holiday. A lovely location to chill out and relax. The location was off the main road so it was quiet. The rooms were comfortable. The staff were friendly. The beach is at your door with a couple of pools which are located near the rooms. The restaurant was more expensive than most local restaurants but I was not bothered as the food was tasty and varied. We stayed there a couple of days but we’d readily go back any time because our experience there was simply amazing! 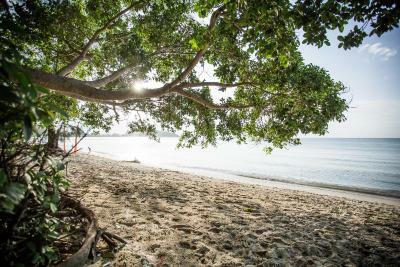 The place is charming, quiet, relaxing, right at the beach front, great for those looking for a chilled holiday while doing yoga and meditation to the sound of the waves. The food at the restaurant was also great. They offer a great selection of Thai and international dishes at affordable prices, with a ton of vegan and vegetarian options.